When life gives you a free jug of apple cider, make cake. That’s basically how this cake happened. My neighbors got home from vacation, asked if we wanted some apple cider, and I was like, “Um, YES.” And then they brought it over and I made cake. It was a pretty productive evening! 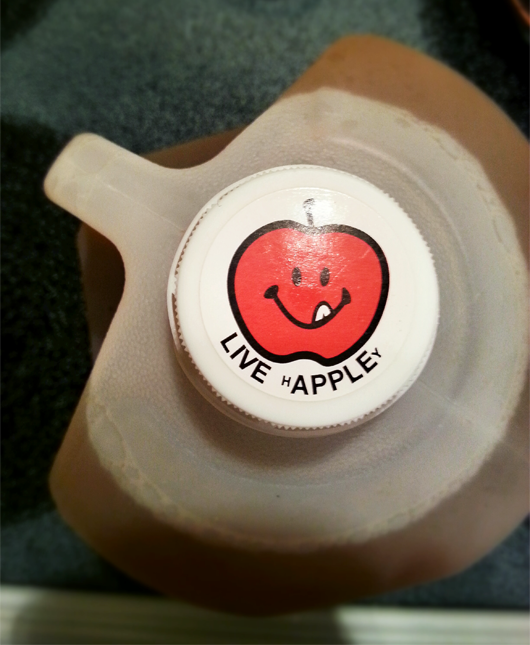 This is not the alcoholic kind of apple cider, which you can totally use if you want. This cider is from Scott’s Orchard in North Alabama. It has a super strong apple flavor, which is why I thought it would do well in a cake. I had this idea that I could take pictures of it at work the next morning, so I tried to get there early, but then realized I completely forgot to make the glaze and hadn’t packed any props or anything. So I decided to take pictures right when I got home from work, but I forgot I had to go to the store, and then the sun was going down by the time I got home. I scrambled to get pictures outside, but I think they turned out alright! 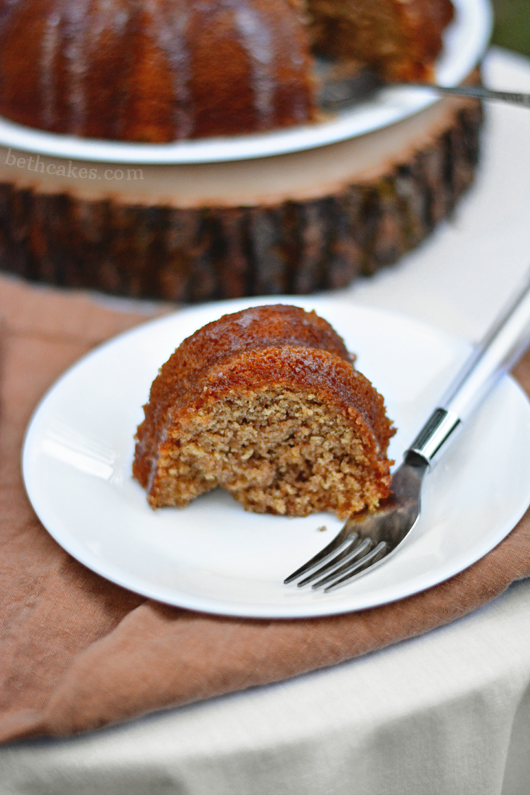 This cake is super moist and a little dense, but full of apple cider and cinnamon flavor. I decided to brown the butter because obviously I’m still riding that bandwagon. I also used a combination of all purpose flour and whole wheat flour, and a combo of granulated sugar and brown sugar. Lots of things going on, but so very worth it! You can sub all the flour for whichever kind you want; all purpose, whole wheat, almond, etc. Just make sure you’ve got the right total measurement. If you’ve been reading along with me recently, you know I’m not much of a pumpkin fan and lean more towards apples, apple cinnamon, and caramel apple in all the many forms they come in (thank you food blogs! ), but I’ve got some Halloween-ish posts coming next. And then (gasp!) a pumpkin recipe! Sometimes I just feel like I’m missing out on the pumpkin craze, you know? 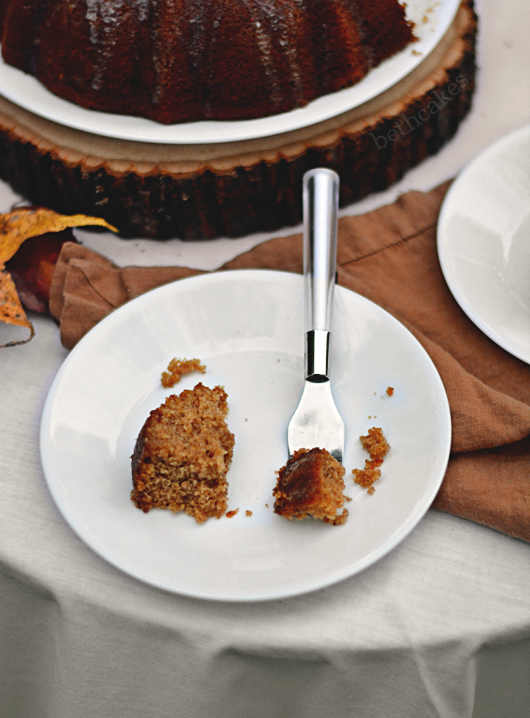 For now, I hope you enjoy this apple cider cake. Live Happley. First, brown your butter. This is a great step-by-step post if you need one. Set aside to cool. Preheat oven to 350 degrees and spray a bundt pan with cooking spray. In one bowl, whisk together both flours, baking soda, cinnamon, and nutmeg. In another (heatproof if your brown butter is still warm) bowl, add both sugars and melted brown butter. Mix on medium speed until combined. Add vanilla and both eggs. Mix well. Add half of the flour mixture and half of the apple cider to the brown butter mixture and mix until just combined. Repeat with the second half of the flour mixture and apple cider. Mix well. Pour batter into prepared bundt cake pan. Bake for 30-32 minutes, or until a toothpick insert into the center of the cake comes out clean. Remove from oven and let the cake cool for 5-10 minutes in the pan. Then transfer it to a wire rack to cool completely. Combine all three ingredients in a bowl and whisk until incorporated. If glaze is too thick, add a teaspoon or two of cider until it's the preferred consistency. Spiced Coconut Rum & Apple Cider Cocktail + a Giveaway! Thanks, Faith! I bought a Nikon D5200 a month or so ago and loooove it. It’s an amateur-body camera, so it has all the auto settings but you can switch it over to manual if you want. It came with a 18-55mm lens, but I used a 50mm for all these pictures. Good luck with your camera adventures! I really want to make apple cider DONUTS! Nice! You just about yanked that jug of cider out of poor neighbor’s hands but you made magic with it. Good job! This cake sounds delicious! 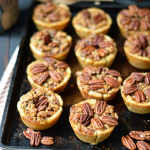 Between the apple cider and the brown butter – so perfect! I also really like that you got in some whole wheat flour. And yes for co-workers who help you eat all the dessert you make! haha It would be so bad if I couldn’t give a lot of what I make away …. 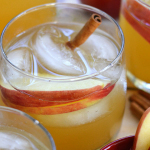 Stop the presses — there’s alcoholic apple cider? how did I not know this?! But seriously, this apple cider cake looks delicious. We’ve got a big jug of apple cider in our fridge, and this recipe is just calling my name. And I think your pictures turned out great, especially since you were racing the clock! Thanks, Jamie! I totally meant “hard cider,” but that’s definitely not what I wrote, haha. My bad! This cake looks delicious, I can’t say no a apple cider baked good. This is perfect for breakfast! Yum! 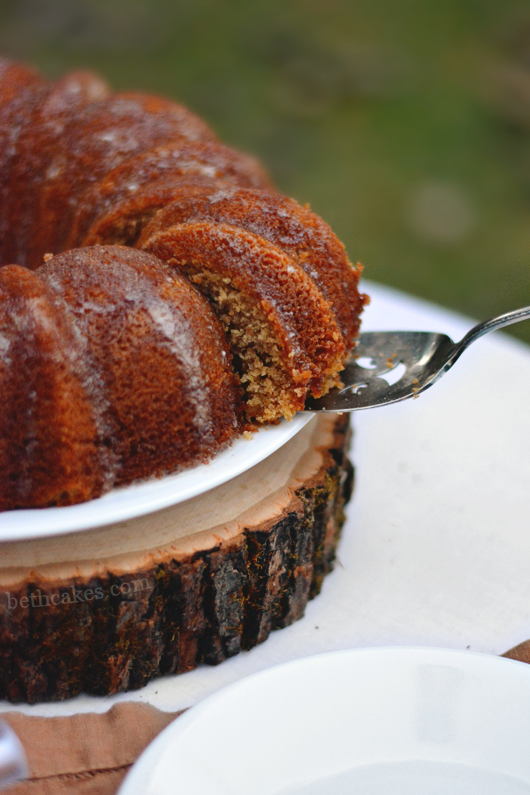 I have never had apple cider cake but it sounds great. Will be trying this one! 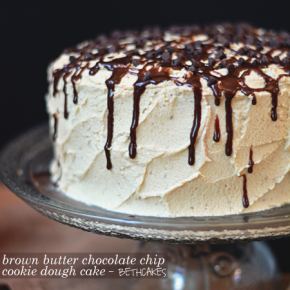 super moist and a little dense <– the best (and only) way I want a cake! 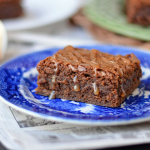 browned butter, apple cider, cinnamon – bet your house smelled amazing!!! I like pumpkin goodies, but I’ll admit that apple stuff is my favorite. 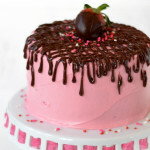 This cake looks so moist and delicious! This cake is stunning!!! I will take apples over pumpkins any day and this cake while I’m at it. I always keep a 1/2 gallon of apple cider in the fridge during the winter and I am so looking forward to trying this cake with it. I could use a HUGE slice of this goodness and a nice cold glass of milk, and I’d be set!! 😉 It looks amazing!! That cake looks delicious. 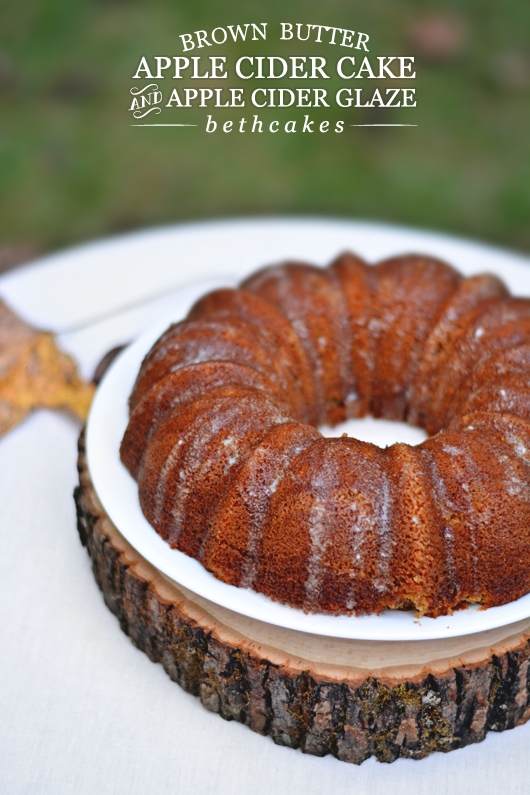 I love everything to do with apples and the cider glaze on this cake must have some flavourful and moist. Brown butter, and double the apple cider? I could eat this for breakfast…and lunch…and a midnight snack too! De-li-cious, there is a small pub near me that sells some very very strong home brewed cider but it is also very big on the apple flavour so will probably be good for this cake. 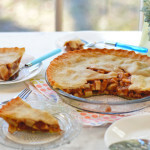 So nice to use ingredients from smaller producers and great that you know exactly which orchard your apples came from! Thanks, Amy! I wish there was a pub like that close to me. And yes, I love to use local ingredients when I can! Oh my, this looks AMAZING. I lovelovelove apple cider everything, so this is totally going on my must make list. And brown butter obviously makes everything better, so nothing can really be wrong with this. Yum! 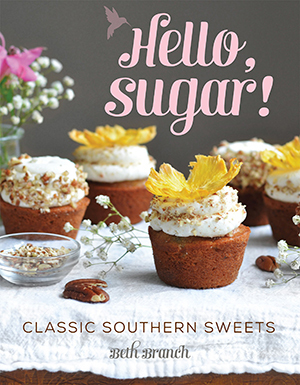 I’m looking forward to baking this. 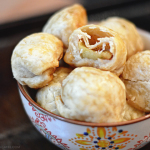 This is the first recipe I came across that didn’t have a ton of sugar in it! Only 2 cups between the cake and glaze both is way better than 3 and beyond like I’ve been finding. Thank you. Wish people would try the recipe before commenting. Just made this as written. It was still liquid after 30 minutes, baked for 45 until toothpick was clean. The cake stuck to the pan horribly. It also has a very greasy texture. Was hoping this would be a Thanksgiving dessert but cannot serve this. The batter tasted good before it was baked but now it seems to have lost the cider flavor. Please let me know if there are any changes to this recipe because it seems to have great potential. Seems as if maybe one stick of butter would have been sufficient. Your recipe says one cup which is 2 sticks. Hi Karen, I wish you wouldn’t discredit a recipe after only trying it once. There are several things that can go wrong while making cake batter and baking. I haven’t made this cake in awhile, but it has never been greasy for me. If the cake stuck to the pan, that’s hardly the recipe’s fault; I would just double check that the pan has been greased. The butter is definitely correct. If I make this cake again soon, I will make sure to adjust the recipe if I find that it needs any changes. Thanks and sorry it didn’t work out.